Two weeks of largely being inside largely eating and getting larger and I am finally back in the full swing of things. Some clients seem to have made resolutions to get the garden done as there is a smattering of enquiries, so thoughts are turned to the summer and lingering BBQs in the garden. Last year (and in fact the year before) a lot of clients asked for Pizza ovens in their gardens. Jamie Oliver can’t be entirely responsible but his recent stuff seems to feature all manner of things cooked in a wood oven (over the holipops I saw one particularly cheesy episode where he made New Year’s day hangover tacos in a field which had been sprayed with fake snow) and people have caught on. 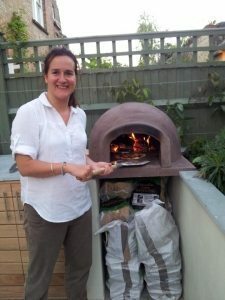 I’m a fan of the Stonebake Oven Company – I put at least three of their ovens into gardens and they all went down brilliantly. One for an Italian client in a tiny garden which had to be all about the pizza, one for a chap building a garden for his wife’s 40th (take note husbands – that is a truly awesome present) and one for a young chap who wanted to show off. Well who doesn’t. Their ovens are relatively easy to install and you can create all kinds of different finishes. It’s an independent company run by lovely people, and I have seen their commercial oven at The Pig in Brockenhurst – a mighty fine thing it is too. So, will 2014 be the year of the pizza oven again or is there something different around the corner? A few people have been making a fuss of the Big Green Egg – there is one around the corner from me at Hartley Farm. This claims to be the thinking cook’s choice of outdoor cooking, combining the best of wood fired ovens (smoke and intense heat) with the best of BBQs (easy to get going and quite neat) but to my mind it’s a large object to have in the garden and not very pretty. If you want to go down the BBQ route, Firemagic are great products – to get them in the UK they need to be ordered from the States through the Lapa Company. There are charcoal, gas and duel fuel options and lots of extras if you are so inclined. Swiss Grill have a very similar product, I’ve never built any of them but seen their products at shows and they look great. Personally, if money and space were no object and I was indulging in the ultimate outdoor cooking experience, I would just like a massive firepit. One I could build seating around which I would cover with big cushions to lie on and stare at the flames, perhaps with a grill suspended over the top. When it comes down to it, we are all cavemen at heart.